Can People With Cancer Obtain Life Insurance? Most people who are diagnosed with cancer want to obtain some type of life insurance. Although they may be prepared to put up a fight, they might want to make sure they have that additional protection for their loved ones if worse comes to worse. It may be difficult for people with cancer to find affordable quality life insurance, but there are some options available. It’s a matter of checking out the options to see what’s being offered. Not all life insurance companies are willing to provide coverage for those who have a pre-existing condition before trying to obtain insurance. The cost of coverage offered by some companies may be too expensive. It’s for that reason you’ll need to shop around to see which companies are willing to provide the best coverage. The cost of the life insurance will vary based on many different factors, including the severity of cancer, the treatment plans you’re following through with, and other medical-related details. It’s true that life insurance does exist for those with cancer, but not knowing how to shop around for the best option could cost you a bit more than you’d like to spend. If you’d like to learn more about the importance of having life insurance and how to obtain it even after receiving such a serious diagnosis, you’ll want to continue reading. Why Is Life Insurance Important For Those With Cancer? Life insurance is completely optional. No one is told they must obtain this type of insurance. However, some people who’ve been diagnosed with cancer want to have that extra coverage to be on the safe side because there’s always that possibility of succumbing to cancer at some point. If the worst-case scenario occurred, you’d at least know that your children or loved ones would be covered. Cancer treatments are often quite costly. If you have health insurance, some of your treatments and medications may be covered, but you may still have to foot the bill for some of the expenses related to your treatment. Many researchers are focused on lowering the cost to make treatments more affordable so that people can effectively fight this disease and hopefully win the battle with cancer. Even so, the excessive number of treatments that may be needed to rid the body of all traces of cancer could still be costly. Aside from the cost of treatment, you’ll have to worry about the cost of the life insurance. The amount of money you’d be expected to pay would be chosen based on a few different factors, such as the current stage of your cancer. If you’ve been diagnosed with cancer in its earliest stages, the survival rates are greater, thus resulting in a lower insurance premium. If your health insurance isn’t covering the cost of everything, you could consider the possibility of getting coverage from a life insurance policy. It may be possible for you to get additional cancer benefits. In the United States, more than a million people are diagnosed with different forms of cancer each year. Some of those people survive the battle and need additional funds to help with the recovery process. There are some people who must sell off their possessions as a way of affording the cost of treatment. It’s quite the burden, but life insurance is something that could prevent such a horrible situation from taking place in the first place. If you were to pass away, your family members would receive benefits and wouldn’t have to worry so much about those unpaid medical bills from the treatments you received while you were fighting cancer. How to Select the Best Type of Coverage? It’s important to understand that your premiums may be more expensive from the very beginning simply because you’re applying for coverage with a pre-existing condition. You’re considered a risk to the insurance companies because there’s a possibility you’ll pass away from cancer you’ve been diagnosed with, which means the cost of coverage could be slightly higher. There are some cancers that are considered a bit deadlier than others. The survival rates may not be as high as other forms of cancer. These cancers include prostate cancer, lung cancer, and breast cancer. When trying to find coverage, the insurance company may want to check out your medical records and get more information on cancer you’ve been diagnosed before they agree to anything. It’s a bit of a process, but it’s well worth it if you want the extra coverage. You can expect to pay a bit more for your insurance coverage premium if you’ve been diagnosed with Stage 2 cancer instead of Stage 1. The odds of beating cancer in the first stage are much higher. The higher the stage, the lower the chance of being able to defeat the condition, thus making it a bit more of a risk to the insurance providers. You’d still be able to find coverage, but it may cost you a bit more than you’d originally expect to pay out of pocket. Make sure to talk directly to the insurance providers to find out more information and make comparisons. They’re willing to help you out because they know how important it is for you to get the life insurance coverage. They want to make sure you can find the right amount of coverage at a price you can afford, so they’ll advise you on when to apply and they’ll tell you what types of information they’ll need from you before they can make any crucial decisions regarding your coverage. Receiving a cancer diagnosis is frightening enough. 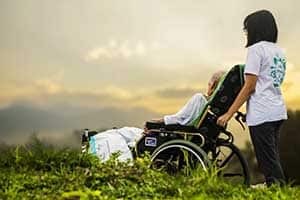 The thought of not being able to afford care and possibly passing away with unpaid medical bills left behind for your relatives could leave you feeling stressed and worried. During this time, you shouldn’t have to stress about finances because you need to take good care of your health. It’s for that reason you should consider getting life insurance coverage. It may be a bit of a challenge to find coverage in the beginning, but looking around at your options and doing your research is the best thing to do. There is affordable coverage available, but it’s all about finding out what coverage you can get and how much it’s going to cost you based on the severity of your current condition.